Not a fan of the transparency effects on your Mac? This post will teach you how to disable transparency for all user interface elements that have a translucent appearance on your Mac. In addition to releasing the major OS X 10.11 El Capitan software update for the Mac, Apple has also posted a Safari update for Yosemite and Mavericks users. In addition to improving your privacy, compatibility and security, the Safari 9.0 update for Yosemite and Mavericks systems includes some controls found in the El Capitan edition of Apple’s web browser. These mainly include the ability to mute audio in tabs and additional viewing options in Safari Reader, but not the new Pinned Sites feature. Beta 3 of 10.10.5 comes just one week after the second developer beta, suggesting that the software is nearly ready for a public release. The most recent OS X update, 10.10.4, arrived at the end of June with Wi-Fi fixes, and improvements to Mail and Photos apps. One of the most under-the-radar new features to hit OS X Yosemite was the addition of extensions. Action extensions are particularly nice, because they allow apps to interface with other apps directly. Some app developers, such as Pixelmator ($29.99 on the Mac App Store), have brought third-party extensions to the Mac, which demonstrates how beneficial extensions can be. Watch our video that showcases Pixelmator’s Repair Tool extension to see what I mean. Just eight days after releasing OS X Yosemite 10.10.3 to the public, Apple released a supplemental update today to fix a video driver issue that may have preventing some Macs to boot up properly when specific video capture apps were used. Now that OS X Yosemite has been officially released, it’s time to think about migrating your old iPhoto library to the new Photos app. Migrating over is extremely easy, as there are multiple ways to do so. 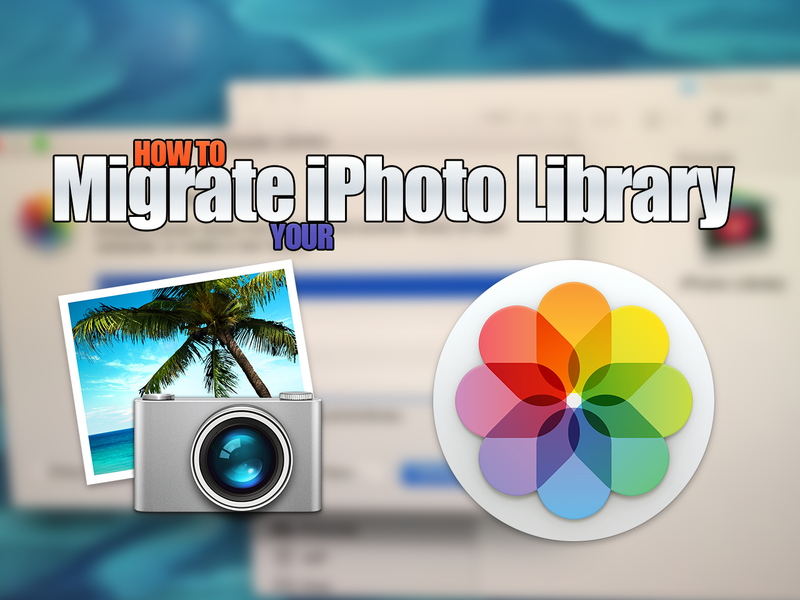 In this post, we highlight one of the easiest and most straightforward ways to migrate an iPhoto Library over to a new Photos app install. As promised earlier this morning, Apple has now released the OS X 10.10.3 Yosemite software update for public consumption. It comes with the long-expected Photos app replacing iPhoto as the default consumer photo-management solution on Macs. Other new features in the 1.52-gigabyte update include 300 new emoji with racially diverse designs, improvements to Wi-Fi networking, bug fixes, performance improvements and more. The software is available via the Mac App Store’s Updates tab. Get your Macs ready for a major software refresh as Apple gears up to release the OS X Yosemite 10.10.3 software update with the long-awaited Photos for Mac app and other improvements. Associated Press, which ran a review of Photos for Mac earlier this morning and first reported that the software update is due today, praised the software’s professional-level and advanced fine-tuning tools such as granular color correction. “Apple’s new Photos app for Mac computers, available Wednesday as a free software update, makes it easy to organize and edit your pictures,” the news organization wrote. Apple seeded another beta of OS X 10.10.3 on Monday for both members of the Mac Developer Center and public beta testers. The new build, available to download through the Mac App Store’s Software Update mechanism, carries the build number 14D127 – compared to the previous build number of 14D113 that was released one week ago.